The exhilarating, final book of the Viking Trilogy. Nella, Pekko, and Egil, a trio of fast friends, set sail again. This time to a mining village where slaves are used to carve a sunstone. People from distant villages, abducted from their homes, are used as slaves and Pekko’s parents might be amongst them. Pekko yearns to find them, and his friends will stand by him on his quest. But at the mining village, Egil and countless others, are taken gravely ill. Nella is determined to use the healing skills she is learning to save her friend. The Rune Stone brings to an exhilarating close the adventure-filled Viking trilogy about the children’s courage and friendship. 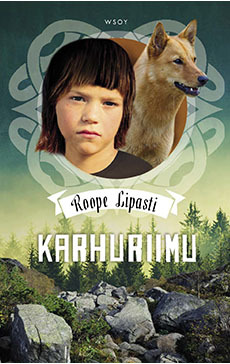 The first book in the trilogy The Viking Knot won Roope Lipasti both the LukuVarkaus and the KirjavaKettu Awards.